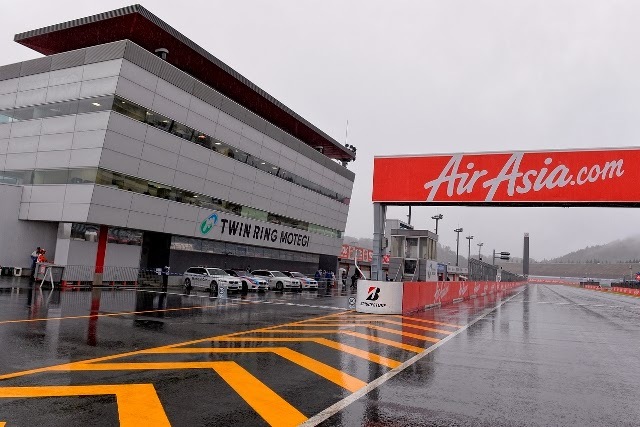 Following bad weather disruption to the World Championship schedule at Motegi on Friday, which saw all practice sessions of the day cancelled, Race Direction has developed a series of contingency plans in order to ensure that all three classes are able to compete at the AirAsia Grand Prix of Japan. 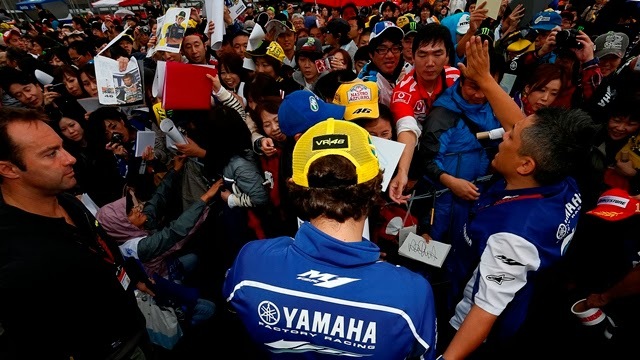 On Friday, all practice sessions were called off as heavy cloud cover at Twin Ring Motegi meant the medical helicopters could not be operated. On the grounds of safety, the helicopters must be operable in order to cater for any medical emergencies that could arise. This was explained in a press conference on Friday afternoon. “We are not prepared to run in these conditions when there is a risk that a seriously injured rider could not be given correct care,” commented MotoGP™ Race Director Mike Webb. For Saturday, heavy rain is expected to fall in the morning but Race Direction hopes that, by the afternoon, the cloud cover should have abated which would allow the medical helicopter to operate. Currently situated five minutes’ flying time from the circuit, should cloud cover in its current location remain too much, the helicopter will be dissembled, transported to the racetrack by road and then reassembled. Two medical helicopters must be available at the circuit at all times, and on Friday time has been spent analysing the best possible locations for their positioning around the circuit, in order to avoid the need of taking off or landing amidst any further heavy cloud cover at the circuit, which is situated on high ground. In the meantime, Race Direction has developed a number of contingency plans in order to provide each of the three classes with as much track time as possible; this could be spread across Saturday and Sunday, half of Saturday and a full Sunday or a condensed routine of practice, qualifying and races all on Sunday should Saturday conditions remain too poor. The weather on Sunday is forecast to be a significant improvement in comparison with the conditions witnessed so far. “The length of sessions depends on the weather,” Webb continues. “I have written up draft schedules for all possibilities tomorrow, including starting in the afternoon after rain in the morning which could ease at around two o’clock. It depends around what time the weather conditions will allow us to run. We will give as much track time as possible to all classes. Nothing is fixed because it depends on the weather, but I’m aiming at 75 minutes for MotoGP™ and perhaps a little shorter for other classes. Taking into account the shortage of daylight at the end of the day, we will just run for as long as possible. We also have a draft schedule for Sunday; we have prepared a possible plan, in case we don’t have any practice tomorrow, which would be 40 minutes for each qualifying session. Also, teams have proposed that perhaps they would like a single, longer practice session rather than two. We need to discuss this with the riders as well, to make sure they agree with these possibilities”. 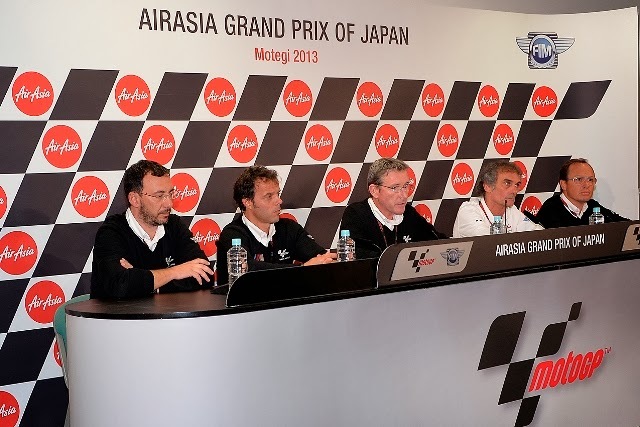 Apart from the cancellation, official MotoGP™ tyre supplier Bridgestone called a press conference at mid-day to discuss the events of the Phillip Island race, which was run with mandatory pit stops, as tyre-life could not be guaranteed for more than 10 laps on the newly resurfaced surface. Hiroshi Yamada, Manager of the Bridgestone Motorsport Department, told the assembled press that despite the company having brought the extra-hard compound to deal with the new track surface, it was caught out in particular by the bikes having a higher average corner speed by 12km/h over last year due to the higher grip levels – something not anticipated in its calculations. He went on to say that the company would be carrying out a test at Phillip Island next year, preferably with prototype machines and their riders, to ensure the safety and longevity of its tyres for the 2014 race. No date or approximate timing has been given for this event.